Once an electrical enclosure or other industrial box is in use, most people don't give its coating a second thought. However, it's worth giving it some consideration at the time the box is being ordered. This will help to ensure that you end up with one that will resist the rigors of the environment and protect the metal beneath for years to come. It's Very Durable: Powder coating is more resistant to scratches and UV rays than paint. In fact, some of the things that would put a fine-line scratch into paint won't bother powder coating at all. This doesn't just keep your enclosure looking good. It prevents the tiny breaches that could one day lead to big rust problems. Meanwhile, its resistance to UV rays ensures that it will stay both strong and attractive for years even outdoors. It's Better for the Environment: When paint is applied, the overspray just goes to waste. Powder coating, on the other hand, can be reused. Since less material is wasted, the environmental impact is reduced. You Can Choose from More Colors: The reason many electrical enclosures are one of only a few colors is lack of availability. With powder coat, you can break free of those stereotypical shades. Match your enclosure to your building or pick a natural-looking color to get a box that is far more attractive. 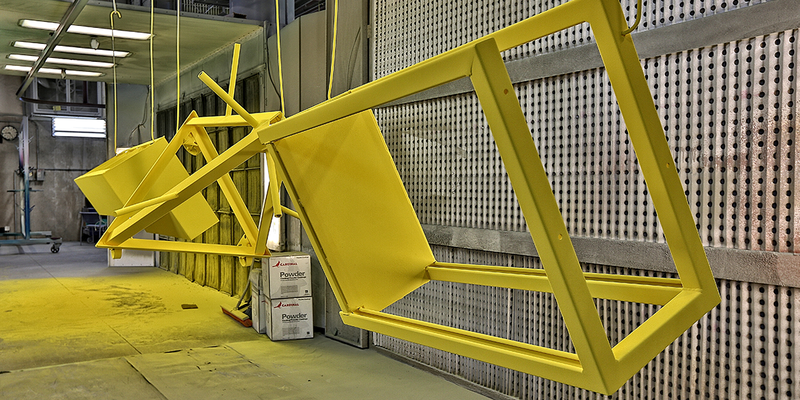 Powder Coatings Can be Applied Quickly: You'll get your finished enclosure faster when you choose powder coating. With paint, there are far longer drying times involved. To learn more about powder coatings and all of the other options for your next equipment enclosure, just give us a call. We'll be happy to discuss your project. Elevating the customer experience for over 50 years. You really want a stable company with a lot of experience handling any large-scale metal projects that you have. Reputation is a huge reference in and of itself. For over 60 years, Easter-Owens has carefully crated a dedication to quality unmatched throughout the world. If you still have concerns or just want help with your metal project, feel free to contact us.